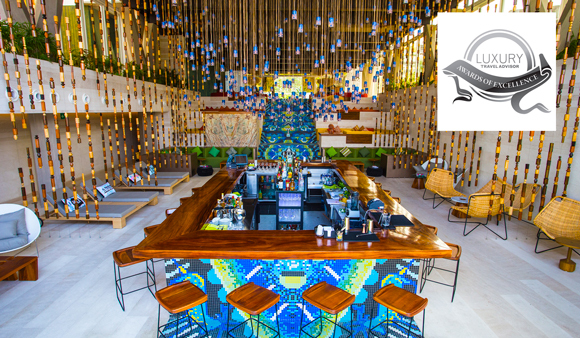 The recently inaugurated Hotel W Punta de Mita in the Rivera Nayarit has been nominated among the three hotels that are up for the title of best new hotel opening in 2016 for Mexico, Central and South America. The nomination is on behalf of the 2016 “Awards of Excellence” by Luxury Travel Advisor. Luxury Travel Advisor is a tourism industry website that specializes in providing information for luxury tourism professionals from around the world since 1930. They offer details on destinations, hotels, cruises, services, businesses, airlines and much more. The Hotel W Punta de Mita is competing against the Four Seasons Hotel Bogota and the Nekupe from Nicaragua for the title of best hotel opening in 2016 in the regions shared by these countries. The annual awards encompass 26 categories from around the world, and include topics such as renovations, luxury hotels, or cruises, by continental regions or countries, including finding the best hotel in iconic cities such as New York, Paris or London. Only travel agents are allowed to vote to elect the winners, which will be announced in May 2017, during their summit. Voting closes on March 24, 2017. To vote, click here: https://www.surveymonkey.com/r/VTDNMN6.